Our chain link fencing is not limited to just our commercial customers. 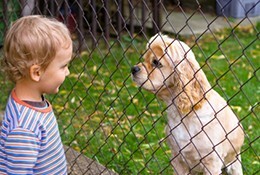 Our expertly installed chain link fencing for homes is perfect for adding that extra bit of security to enclose your yard, gardens, or even playpens for the dog and kids. 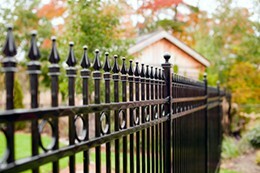 Our beautifully hand crafted wrought iron fences are second to none. Our crafts will decorate your homes adding that perfect touch of regal elegance or decor that you have always desired. Transform your yard and add that special touch today!